early childhood program and meet our dedicated staff. Tucked away in a tranquil garden is the home of St Kilda Steiner Kindergarten. 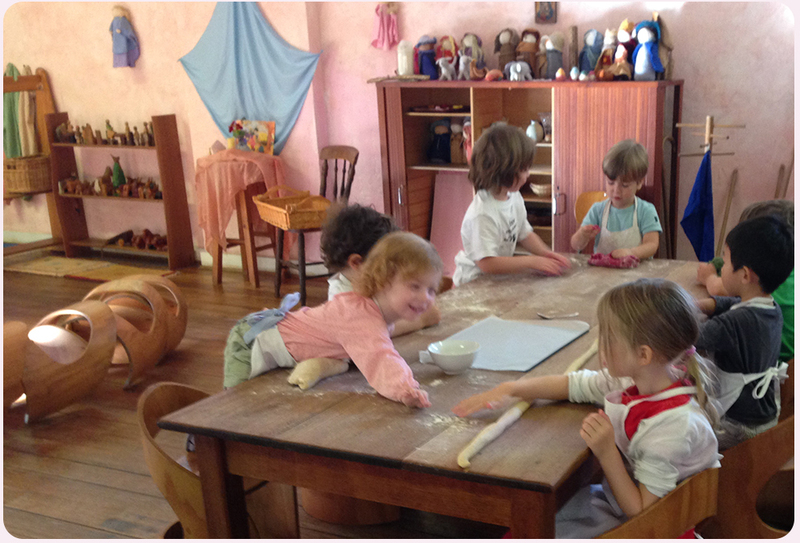 Guided by the insights of Rudolf Steiner, our kinder offers a child-centred and nurturing mixed age play based program. Our inviting garden and beautifully prepared room give your child the freedom to flourish under the conscientious care of our dedicated staff. "Which is the best preschool near me?" This is the question that comes to the minds of a number of parents seeking to enrol their child in one of the best kindergarten pre schools in Melbourne. St Kilda Steiner Kindergarten is one of the leading kindergartens in Victoria Australia. We provide a variety of opportunities for children to learn and prepare for their transition to school. With over decades of experience providing play based learning in Melbourne, we help children develop a wide range of skills and give them the best preparation for future learning. Our educators at St Kilda in Melbourne Victoria are passionate about children learning through play so that they learn, grow and thrive in a proper way. We value children and invest in high-grade training and professional development of our teachers. Our kindergarten in Melbourne is known for providing stimulating environment that support learning. We respect and value individual backgrounds, and unique culture. We follow positive relationships and involve parents in decision making.